Please excuse how late this is! I was speaking this morning to a group of ladies on the topic of food, health, and diet from a Christian perspective, and with feeling a bit nervous and focused on that, I forgot to get Pennywise up! Also, don’t forget about this wonderful deal with one my affiliates for 97 ebooks, and $140 dollars worth of free gifts for $29.97! That’s a real pennywise deal. 🙂 It’s only available for the next two days! 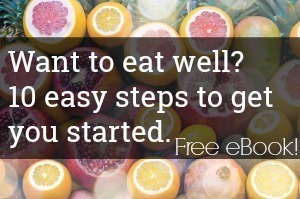 It’s time to share your frugal and nourishing tips and recipes! Where do you shop for quality food at a lower price? What recipe saves a penny? How do you balance a budget with nourishing food? Share here. 2) Keep the ingredients “nourishing”, such as whole grains, meats, vegetables, legumes, unrefined salt and sugars, chicken, etc. I am not going to be an ingredient police every week, but if there is a link to a post that is obviously not filling any of the criteria for healthy (for example, a white flour, white sugar birthday cake), I will delete that link. However, feel free to post vegetarian, vegan, raw, low-carb, paleo, etc. 3) Link back to the carnival This is common carnival courtesy. And more then that, it helps build the community of the carnival as you are sending your readers to others participating. And please, as a blogger, check out other’s posts and leave a comment as well! I know that we would all love to hear from each other. Thanks so much for hosting the fabulous Pennywise Platter every week! Today I am sharing my Grain-Free Banana Hazelnut Pancake and Healthy Chocolate Peppermint Candy recipes. Be Well! I shared my recipe for Macadamia and Dried Cherry Cookies. This recipe is gluten free, but it can be made with “normal” flour if you don’t have an issue with gluten. Hooray! Glad you finally got the party started. Chocolate Buckwheat Waffles and Pesto Shrimp Salad Bites are my contributions this week. Thanks for hosting! Today I shared a recipe for a delicious chicken curry! Today I have nourishing options for busy mornings and none involve a box of extruded cereal! Thanks so much for hosting Kimi. Love the ice cream recipe you just posted – can’t wait to make it. I posted a link to my how to make “coconut butter” article. Thank you for hosting! I have been enjoying your site for ages. Today I posted our family Zuppa Toscana recipe altered to fit our food allergies. I am thankful for you hosting this Kimi. I have shared an amazing traditional falafel recipe, where you can also find recipes for pickled beet and turnips, tahini sauce and sprouted pita bread. I have also looked around other bloggers posts and found great info/recipes. Thanks again, this is a great way for us food bloggers to get to know eachother. This is a great ice cream recipe perfect for the summer! I truly enjoy reading all your posts and articles. Thanks for sharing! !